The present century innovations have lent a hand to the iGaming industry to help casinos seeking to transfer their services to the internet. The industry is trying to help some new online casinos enable the players to experience the feeling of being in a brick and mortar casino. The virtual reality casino`s aim is to unleash its services to its clients by bringing them the entire land casino atmosphere. That means that you will have the ability to experience a 3D environment and also interact with the casino`s environment as you play the casino game of your choice. 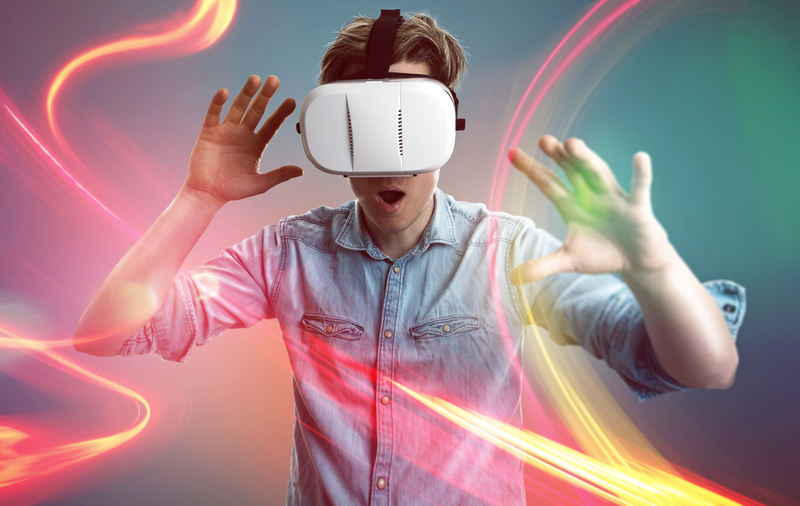 Virtual reality combines the headset gadgets with creative game programming and wearable technology to make gambling a reality from the comfort of your sit. VR gambling is still young so you can expect just a few games presently available. Some of the games you can enjoy include Roulette, Gin Rummy, Blackjack tournaments and poker, but they are just giving a taste of what is to actually come. Though such games exist, the two major virtual casinos that are bringing hope to the VR slots are the SlotsMillion and the Casino VR Poker. These new online casinos provide a positive impression of the VR slots making it a productive step for slots gaming into Virtual Reality. The Casino VR Poker is compatible with all platforms. It runs on Gear VR or Oculus Rift which is more animated, it includes 6 Texas Hold’em poker tables, realistic full-body players, and spatial voice chatting. The tables have different buy-in levels almost like the real thing and an in-game dashboard will enable players to view each other’s winnings and other things within the game. The SlotsMillion has no card games but has a game room and more than 40 slot machines. SlotsMillion also runs on Oculus Rift but can also play well on windows though not in immersive VR. You will experience the sense of virtual reality once you put on a VR-headset which exhibits qualities such as multiple LED screens, sound and light proof. You get the experience of the real thing and that is exactly what happens even as you enter a casino room through VR. When you put on the headset, everything around you will blackout as the VR screen appears. You will then make use of your hands as you control what happens on that screen using a controller. The VR casino generally features an engaging casino environment that stimulates the player`s visual and auditory senses. You experience real-time multiplayer games with a fantastic variety of characters to choose from and the option to interact with other online gamblers. These are the great things that online casino UK are struggling to incorporate in their systems. Gamblers first met their surprise in the 90s decade when online gambling came into light. Years rolled by and more games got their ways into various online casinos as a result of the rising demand by the iGamblers. Online casinos have been improving and restructuring since then to create better graphics display in the casinos’ sites while at the same time adding interesting features to the digitalized games. Even as this has been happening, the concept of Virtual Reality Gambling has not been left behind since it is now being transformed into a real-world phenomenon. Software companies are working hard to make the phenomenon a living dream- this can be the dream of any new online casino. At the moment, several top-notch VR gaming sets have been released including the Valve’s Stream VR and the HTC’s Vive and this is a clear sign of the new wave growing. Technology is improving every day; Virtual Reality is therefore predicted to get to greater levels in the future even with more VR casinos on the internet and the possibility of it replacing some casinos characteristics.